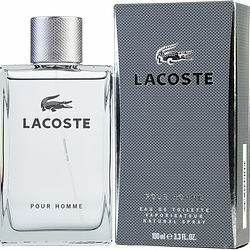 Lacoste Pour Homme is a really pleasing scent. It's in the same category as Versace Eros, in my opinion. But different enough that you don't feel like you're wearing the same scent. Great option if you want something different, but still want the similar type of scent. Longevity was about 5-6 hours on my skin and about 1 hour projection before it felt more of a skin scent. I love the smell and have gotten many compliments. 1 of favorite colognes ever!! I have been wearing this cologne for years now and always find myself coming back to Lacoste Pour Homme. I love the light citrus scent, it's clean and is a nice change up to the other cologne that my husband wears.